Laoconnection.com: Lao Cultural Books...and Plenty of Them! 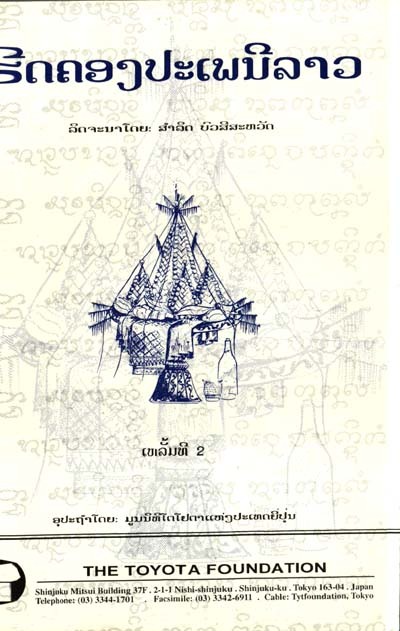 Whenever you see Lao books for sale, you'll often find numerous books that contain background information on cultural events, rituals or traditions. They often have titles like papaenee lao (Lao customs) and vutanatum lao (Lao culture). If you want to understand more background on Lao culture, events, rituals and customs that take place and if you can read Lao, then these books are definitely great to have. 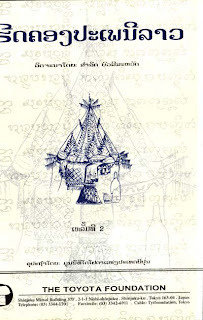 For example, there are explanations on what to do for a funeral or when someone gets married or it'll explain the background of boun bang fy (rocket festival) or kow pansa (Buddhist Lent). Some are more detailed than others. It's a good idea to pick up a couple of these if you have the chance. Here's some more scans of book covers of ones that we bought a while back.